The French city of Montpellier, the capital of the Languedoc region, is situated close to the border with Provence, ten miles from the Mediterranean coast. 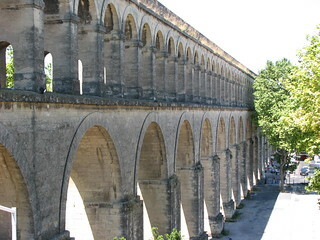 We visited the city many years ago and the strongest memory I have is of an aqueduct, which I assumed had been built by the Romans. However it’s much newer than that, as it was built in the 17th century to carry water to the city from the St Clement Spring. 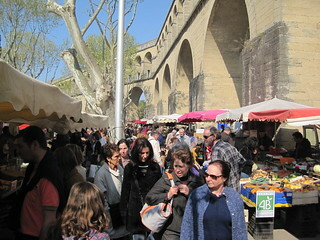 Arceaux market is held under the arches of the aqueduct. During the Summer Les Estivals de Montpellier local produce market takes places every Friday, from 6pm until midnight. 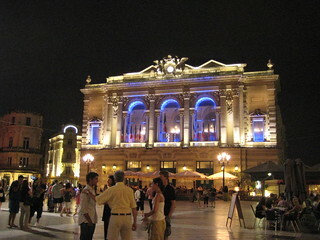 The Place de la Comedie is the main square of Montpellier. The Opera House is located here. 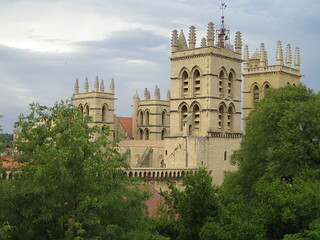 The current Montpellier Cathedral dates from the 17th century, but there was a church on that spot since the 14th century. The Musee Fabre was totally revamped in 2007; it has a collection of Old Masters, Modern Art and an interior typical of the home of a wealthy family from the late 19th century. The Montpelier Botanic Gardens, established in late 16th century, are the oldest in France. You’ll find the Mare Nostrum Aquarium, the Galileo planetarium, an ice-skating rink, a go-karting circuit and a large shopping centre at the Odysseum, just outside the city centre. 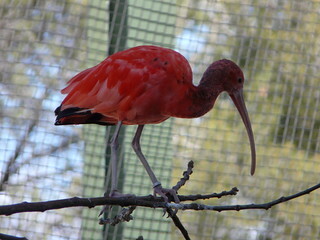 Montpellier Zoo is well known for red ibis. There’s also an Amazonian greenhouse to give you a real feel for what’s it’s like in a jungle; you can walk under a waterfall and do some tropical bird spotting.